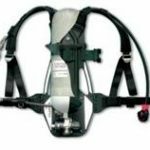 Apparatus for short-term work or rescue vehicle for equipment operating on compressed air lines, cylinders, designed for 10, 15 and 20 minutes of work. Dining cylinders. Approved to EN139 as a rescue vehicle for equipment operating from overhead lines. Approved according to SOLAS 96/98/EC. Complete outfit consisting of fire suit, gloves, helmet and boots. Boots are designed to protect the feet from open flames, heat radiation, corrosive media, bumps, punctures and other mechanical damage. 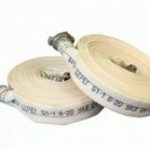 Fireproof safety rope intended for attachment to a ventilator or a special belt to ensure control over the fire during emergencies. 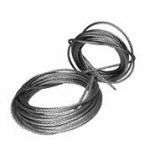 Rope made ​​of noncombustible materials. Designed for rescue work, self-rescue and fire insurance when working at height. A fire hose is a high-pressure hose that carries water or other fire retardant (such as foam) to a fire to extinguish it. Outdoors, it attaches either to a fire engine or a fire hydrant. 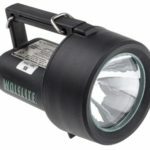 Indoors, it can permanently attach to a building’s standpipe or plumbing system. 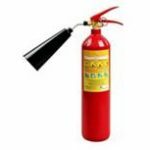 Carbon dioxide fire extinguishers designed to extinguish fires of various electrical equipment that is under voltage up to 10 000 B. 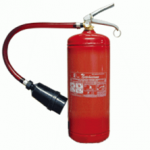 Carbon dioxide fire extinguishers are designed to extinguish fires of various electrical equipment, which is 10 000 live V.
Fire extinguishers – charged fire-extinguishing powder and pumped gas (air, nitrogen, carbon dioxide) to a pressure of 16 atm. 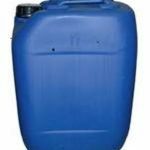 Designed to extinguish fires of class A, B, C or BC, depending on the type of powder. Sounder Call of loud fight is an electromagnetic mechanism of AC, a spray not dust-tight in Corps. Bells loud fight, are designed to deliver powerful sound signals other than the production of noise, providing a good audible signal at a considerable distance in alarm systems. 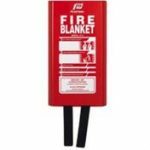 The fire blanket is a safety equipment for extinguishing starting fires by blocking the supply of oxygen. The blanket consists of a sheet of refractory material placed over the fire to extinguish it, or for wrapping individual source of fire. Foam is used for extinguishing the fire . «Centrasia Trade» draws on the skills and expertise of highly skilled specialists, offering bespoke services that embrace all aspects of our specialized fields of supply to both large and small projects.